Cortech Blitz 2.1 Glove, our performance glove, the Blitz 2.1 features a 300 denier Carbolex backhand and a goatskin leather palm. 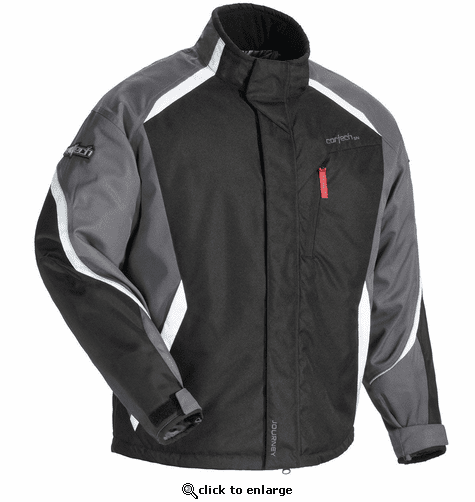 Cortech's Rainguard waterproof and breathable barrier, 180gm insulated liner and pre-curved palm keep the rider dry, warm and comfortable so concentration is never broken. 300 denier Carbolex combined with goatskin leather. Rainguard waterproof and breathable membrane. Elasticized wristband provides a secure fit. Secure hook and loop closure keeps the elements out. Pre-Curved palm and fingers provide form-fitting comfort. Fully insulated for optimum warmth:180g insulation in the palm and back of hand.